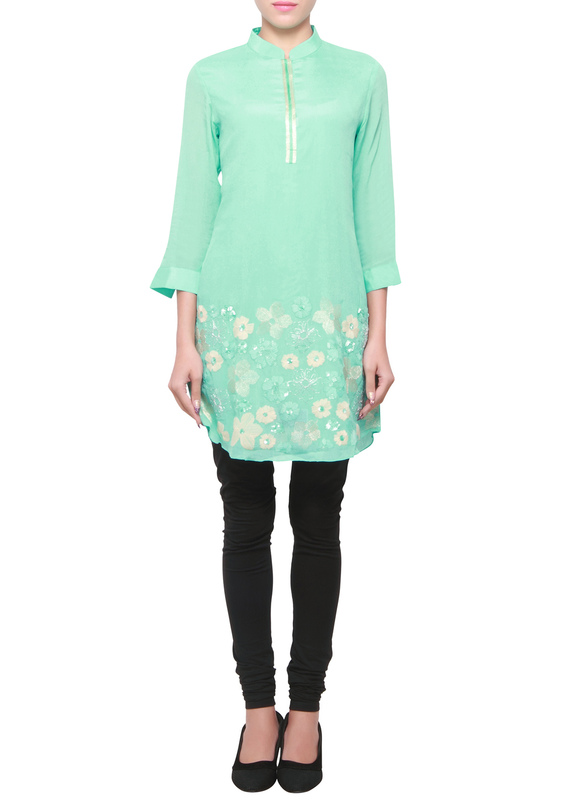 Mint georgette kurti enhanced in thread and sequence embroidery. It has a white floral thread embroidery. 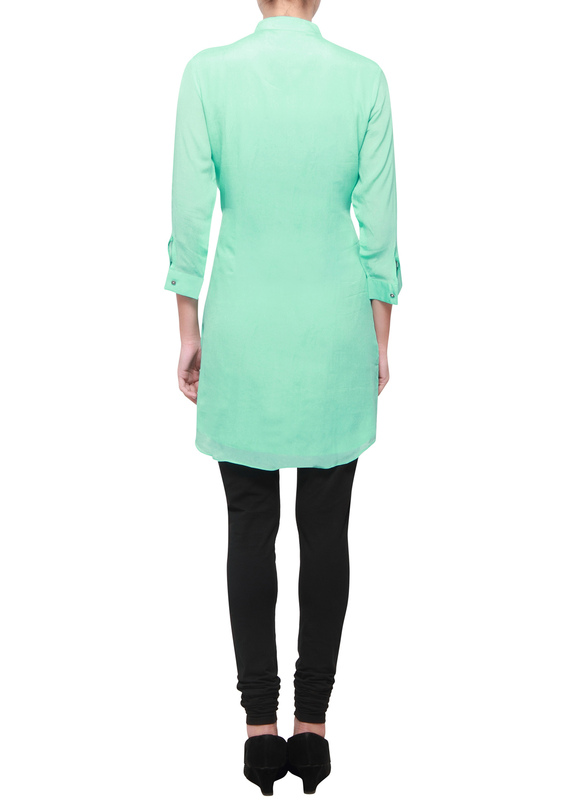 It has a satin placket detail.